امروزه استفاده از پساب یا آب خاکستری برای کشاورزی به‌شدت در حال گسترش است در حالی که استفاده از آنها خطراتی نیز به‌همراه دارد. فلزات سنگین موجود در پساب حتی در مقادیر اندک به‌دلیل ضریب تجمع‌پذیری بالا در محیط، عدم تجزیه‌پذیری و ماندگاری زیاد، شدت سمیت و آلوده‌سازی خاک در زمان آبیاری از جمله معضلات استفاده از پساب در کشاورزی است که باید به نحوی مدیریت شود. در این خصوص روش گیاه‌پالایی به‌دلیل سازگاری با محیط زیست و قدرت پالایش محیط از مزیت مناسبی برخوردار است. به‌منظور بررسی قدرت گیاه‌پالایی سورگوم شیرین، این گیاه با پساب شهری آبیاری شد. ابتدا پساب آنالیز شد. با اضافه نمودن ترکیبات کادمیم، سرب و آرسنیک به پساب، سه تیمار 1/0، 1 و 10 میلی‌گرم در لیتر از فلزات مذکور در پساب شهری ایجاد شد و به‌مدت 12 هفته گلدان‌های مربوطه با تکرار مناسب آبیاری شد. نمونه‌های ریشه، ساقه، برگ، بذر، خاک و زهاب گلدان‌ها به‌صورت جداگانه برای آنالیز هضم اسیدی و تزریق به دستگاه جذب اتمی برداشت شد و نتایج توسط روش‌های آماری مقایسه شد. نتایج نشان داد که میزان انباشت کادمیم و سرب در گیاه سورگوم نسبت به آرسنیک بسیار بیشتر است و به بیش از ده برابر می‌رسد. از طرف دیگر ضریب جذب یا توانایی گیاه در جذب عناصر در مورد کادمیم و سرب با افزایش غلظت در خاک، به سرعت کاهش یافته و در مورد آرسنیک، ضریب جذب گیاه با افزایش غلظت آن در خاک تا اندازه‌ای افزایش می‌یابد. در مورد میزان انباشت مواد، توانایی تمامی بافت‌ها در انباشت کادمیم و سرب یکسان بوده و در مورد آرسنیک، بیشترین تجمع این عنصر در ریشه است و در بخش‌های هوایی آن مقدار کمتری تجمع می‌یابد. این پژوهش نشان می‌دهد الگوی انباشت فلزات سنگین در گیاه سورگوم و همچنین میزان نهایی انباشت، ضریب جذب و تغییرات آن نسبت به غلظت محیط در عناصر مختلف متفاوت است و با توجه به غلظت نهایی انباشت و ضریب جذب، گیاه سورگوم شیرین گونه‌ای مناسب برای پالایش کادمیم و سرب در پساب‌های شهری در غلظت‌های پایین است و این امر می‌تواند از انباشت تدریجی آلاینده‌های مذکور در خاک جلوگیری نماید. Cadmium, Lead and Arsenic Remediation in Urban Wastewater by Sorghum Bicolor L.
The use of wastewater and gray water for agribusiness is recently growing, and it is essential to investigate the risks associated with its use. Heavy metals in wastewater, even in small quantities, are among problems limiting the use of wastewater in agriculture. This is due to the high agglomeration coefficient in the environment, degradability and long shelf-life which cause the severity of toxicity and contamination of the soil during irrigation. In this regard, the Phytoremediation technology can be advantageous due to its environmental compatibility and environmental refining power. In order to investigate the power of sweet sorghum, urban wastewater was used to irrigate the plant. First, wastewater was analyzed in terms of 38 factors. By adding cadmium, lead and arsenic to wastewater, three treatments of 0.1, 1 and 10 mg/l of these metals were created in urban wastewater and for 12 weeks the respective pots were irrigated with appropriate replication. Samples of root, stem, leaf, seed, soil and drainage of pots were collected separately for analysis of acid digestion and grafting to the atomic absorption system and the results were compared by statistical methods. The results showed that accumulation of cadmium and lead in sorghum is more than ten times higher than that of arsenic. On the other hand, the absorption coefficient or ability of the plant to absorb the elements has decreased rapidly for cadmium and lead with increasing concentration in the soil. In the case of arsenic, the absorption coefficient increased with increasing concentration in the soil. Regarding the amount of material accumulation, the ability of all tissues in the accumulation of cadmium and lead was the same and in the case of arsenic, the root accumulated more than aerial parts. This study showed that the heavy metals accumulation pattern in sorghum, the final amount of accumulation, the absorption coefficient and its changes relative to the environmental concentration are different for various elements. According to the final concentration of accumulation and absorption coefficient, the sorghum plant is suitable for the purification of cadmium and lead from low concentration effluents which are commonly found in urban wastewater. This can prevent the accumulation of these pollutants in soil. Abedin, M. J., Cotter-Howells, J. & Meharg, A. A. 2002. Arsenic uptake and accumulation in rice (Oryza sativa L.) irrigated with contaminated water. Plant and Soil, 240 (9), 311-319. Almodares, A., Hotjatabady, R. H. & Mirniam, E. 2013. Effects of drought stress on biomass and carbohydrate contents of two sweet sorghum cultivars. Journal of Environmental Biology, 34, 585-589. Azad, M. A. K., Monda, A. H. M. F. K., Hossain, I. & Moniruzzaman, M. 2006. Experiment for arsenic accumulation into rice cultivated with arsenic enriched irrigation water in bangladesh. American Journal of Environmental Protection, 1 (5), 54-58. Baker, A. J. M. & Brooks, R. R. 1989. Terrestrial higher plants which hyperaccumulate metalic elements. A review of their distribution, ecology and phytochemistry. Biorecovery , 1 (145), 81-121. Barakat, M. A. 2011. New trends in removing heavy metals from industrial wastewater. Arabian Journal of Chemistry, 4, 361-377. Behbahaninia, A. & Mirbagheri, S. A. 2010. Effects of sludge from wastewater treatment plants on heavy metals transport to soils and groundwater. Iranian Journal of Environmental Health Scienc and Engineering,7 (5), 401-406. Boline, D. R. & Schrenk, W. G. 1976. A method for the determination of cadmium in plant material by atomic absorption spectroscopy. Applied Spectroscopy,30 (4), 607-610. Cakmak, I., Welch, R. M., Erenoglu, B., Römheld, V., Norvell, W. A. & Kochian, L. V. 2000. Influence of varied zinc supply on re-translocation of cadmium (109Cd) and rubidium (86Rb) applied on mature leaf of durum wheat seedlings. Plant and Soil, 219 (5), 279-284. Chami, Z. A., Amer, N., Bitar, L. A. & Cavoski, I. 2015. Potential use of Sorghum bicolor and Carthamus tinctorius in phytoremediation of nickel, lead and zinc. International Journal of Environmental Science and Technology, 12 (13), 3957-3970. Dahal, B. M., Fuerhacker, M., Mentler, A., Karki, K. B., Shrestha, R. R. & Blum, W. E. 2008. Arsenic contamination of soils and agricultural plants through irrigation water in Nepal. Environmental Pollution, 155, 157-163. Davis, A. P., Shokouhian, M. & NI, S. 2001. Loading estimates of lead, copper, cadmium, and zinc in urban runoff from specific sources. Chemosphere, 44, 997-1009. Erika Fediuca, L. E. 2002. Physiological and biochemical aspects of cadmium toxicity and protective mechanisms induced in Phragmites australis and Ttypha latifolia. Journal of Plant Physiology, 7 (159), 265-271. Galavi, M., Jalali, A. & Ramroodi, M. 2010. Effects of treated municipal wastewater on soil chemical properties and heavy metal uptake by Sorghum (Sorghum Bicolor L.). Journal of Agricultural Science, 2 (7), 235-271. Gnansounou, E., Dauriat, A. & Wyman, C.E. 2005. Refining sweet sorghum to ethanol and sugar: Economic trade-offs in the context of North China. Bioresour Technol, 96, 985-1002. Gomati Swain, Adhikari, S. & Mohanty, P. 2014. Phytoremediation of copper and cadmium from water using water Hyacinth, Eichhornia Crassipes. International Journal of Agricultural Science and Technology, 2 (7), 1-7. Guerinot, M. L. & Salt, D. E. 2001. Fortified foods and phytoremediation. Two sides of the same coin. Plant Physiol, 125, 164-167. Neidhardta, H. B., Kramarb, U., Tangb, X., Guoc H. & Norrab, S. 2015. Arsenic accumulation in the roots of Helianthus annuus and Zea mays by irrigation with arsenic-rich groundwater: Insights from synchrotron X-ray fluorescence imaging. Chemie der Erde - Geochemistry, 75 (9), 261-270. Hartley, W., Edwards, R. & Lepp, N. W. 2004. Arsenic and heavy metal mobility in iron oxide-amended contaminated soils as evaluated by short- and long-term leaching tests. Environmental Pollution, 131, 495-504. Keil, D. E., Berger-ritchie, J. & Mcmillin, G. A. 2011. Testing for toxic elements: A focus on arsenic, cadmium, lead, and mercury. Laboratory Medicine, 42 (8), 735-742. Kalantari1, M. K. & Oloumi, H. 2005. Study the effects of CdCl2 on lipid peroxidation and antioxidant compounds content in Brassica napus. Iranian Journal of Science & Technology, 29 (9), 201-208. Mashi, S. A. & Alhassan, M. M. 2007. Effects of wastewater discharge on heavy metals pollution in Fadama soils in Kano City, Nigeria. Biomedical and Environmental Sciences, 20, 70-77. 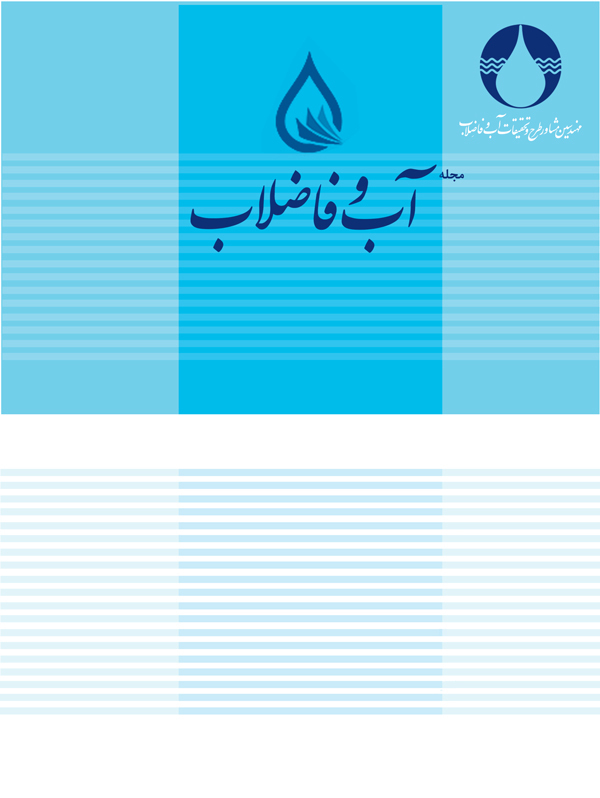 Mojiri, A., Aziz, H. A., Tajuddin, R. B. M., Gavanji, S. & Gholami, A. A. 2015. Heavy metals phytoremediation from urban waste leachate by the common reed (Phragmites australis). Phytoremediation: Management of Environmental Contaminants, 2 (6), 75-81. Pacovsky, R. S., Paul, E. A. & Bethlenfalvay, G. J. 1985. Nutrition of sorghum plants fertilized with nitrogen or inoculated with Azospirillum brasilense. Plant and Soil, 85 (1), 145-148. Pilon-smits, E. 2005. Phytoremediation. Annual Review of Plant Biology, 56, 15-39. Pinot, F., Kreps, S. E., Bachelet, M., Hainaut, P., Bakonyi, M. & Polla, B. S. 2000. Cadmium in the environment: Sources, mechanisms of biotoxicity, and biomarkers. Review of Environmental Health,15,323-299. Saba, G., Parizanganeh, A. H., Zamani, A. & Saba, J. 2015. Phytoreme diation of heavy metals contaminated environments: Screening for native accumulator plants in Zanjan-Iran. International Journal of Environmental Research, 9 (7), 309-316. Salt, D. E., Smith, R. D. & Raskin, I. 1998. Phytoremediation. Annual Review of plant physiology plant Moleculer Biology, 49, 643-668. Sasan, Z., Mohammadi, M. J., Yari, A. R. & Neisi, A. 2017. Phytoremediation of heavy metals (Pb, Cd) by Tamarix along the Temby (Karon) River, Iran. Archives of Hygiene Sciences, 6 (7), 182-188. Sposito, G., Lund, L. J. & Chang, A. C. 1982. Trace metal chemistry in arid-zone field soils amended with sewage sludge: I. Fractionation of Ni, Cu, Zn, Cd, and Pb in solid phases1. Soil Science Society of America Journal, 46, 260-264. Sudhakar, M. & Rao1, G. C. R. 2010. Comparison of alkaline treatment of lead contaminated wastewater using lime and sodium hydroxide. Journal of Water Resource and Protection, 2 (9), 282-290. Wang, H., Shan, X., Liu, T., Xie, Y., Wen, B., Zhang, S., et al. 2007. Organic acids enhance the uptake of lead by wheat roots. Planta, 225, 1483-1494. Wang, M., Chen, Y., Xia, X., LI, J. & Liu, J. 2014. Energy efficiency and environmental performance of bioethanol production from sweet sorghum stem based on life cycle analysis. Bioresource Technology, 163, 74-81. Wojas, S., Ruszczynska, A., Bulska, E., Wojciechowski, M. & Antosiewicz, D. M. 2007. Ca2+ -dependent plant response to Pb2+ is regulated by LCT1. Environmetal Pollution, 147, 584-592.